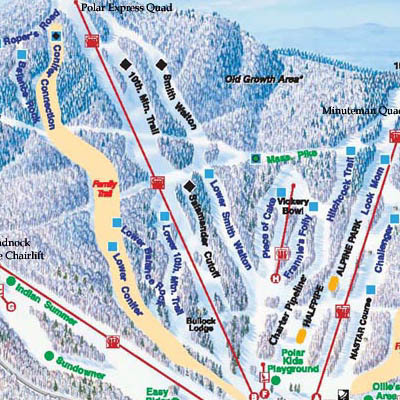 Being one of the busiest ski areas in all of New England, Wachusett found itself in dire need to expand. Many obstacles stood in the way, however, such as the fact that the ski area was on state forest land and that there was old growth forest to contend with. 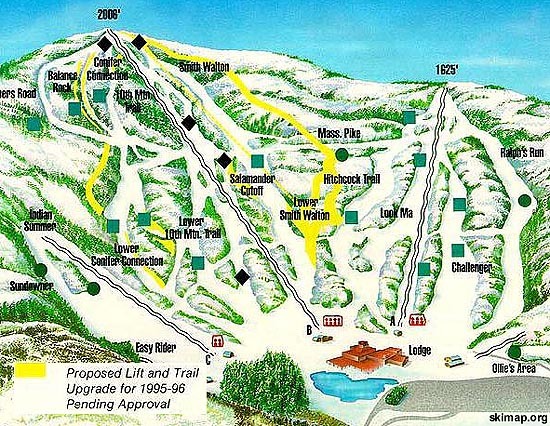 Originally proposed as "Alpine Park," the new area would have been composed of two relatively long trails and a lift. Old growth forest was discovered on the upper portion of this area in 1995, however, resulting in a severe roadblock. 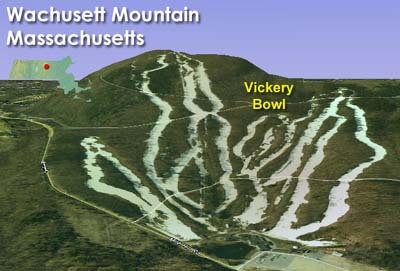 After ten years and hundreds of thousands of dollars, Wachusett was able to finally move ahead with a scaled back project in 2003. The project hit yet another snag on August 1st, as two members of Earth First! climbed and camped out in two trees. Facing a clearing deadline, the ski area eventually started to cut down the adjacent trees in September, thus ending the standoff. Now dubbed the Vickery Bowl, the new complex partially opened in 2003-2004 with the Frannie�s Folly trail. 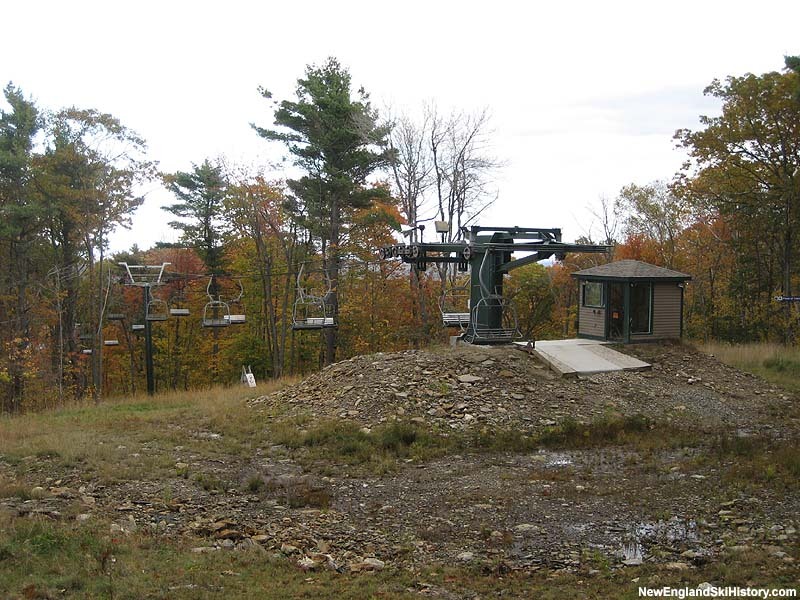 In 2004-2005, a used 1,500 foot long triple chairlift was installed, serving Frannie's Folly and another new trail, Piece of Cake. The name of the complex is in honor of Earle R. Vickery, Jr. (1915-2009). A longtime resident of Princeton, Vickery was Superintendent of the Mt. Wachusett State Reservation from 1948 until 1969, and was one of the developers and operators of the ski area during the 1960s.